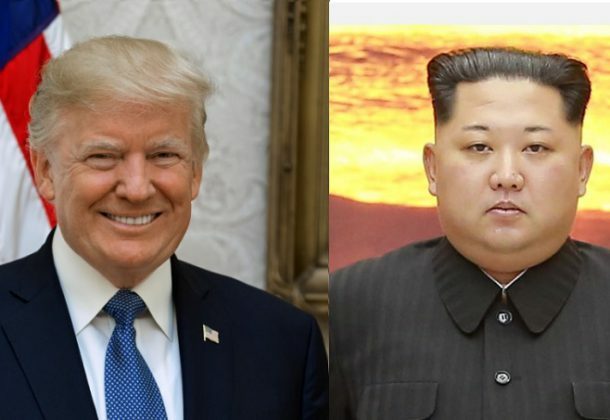 President Donald Trump arrived in Singapore on Sunday for a historic summit with North Korean leader Kim Jong Un that could lay the groundwork for ending a nuclear stand-off between the old foes, Reuters reports. Fourteen F-22 Raptor jets from Joint Base Elemendorf-Richardson, Alaska, were sent to Okinawa for a four-week rotational deployment ahead of the upcoming summit scheduled for June 12. Four F-35B aircraft have arrived in the United Kingdom from the US Marine Corps’ facility in Beaufort, SC, two months ahead of schedule, reports Executive.Biz. Why is this so important for the British RAF? BBC reports it celebrates the revival of Britain’s ability to launch sea-borne operations from aircraft carriers and it is the first aircraft that will enter British service designed from the outset to be low-observable, that is stealthy. Lockheed Martin will up its investment in early-stage technology companies by about $100 million (on top of nearly $100 million it invests currently), reports Defense One, reaching more than $200 million in the coming year. During the run-up to the recent Shangri-La defense summit in Singapore, the US State Department’s lead for foreign arms sales pitched Indo-Pacific allies and partners on buying more American-made weapons systems, reports USNI News. National Defense says European countries are investing in defense to better protect their airspace and coastlines as Russia flexes its military muscles and US is demanding greater contributions from the west. Three senators want to block F-35 sales to Turkey as part of the annual defense policy bill now poised for a vote in the Senate, reports Washington Examiner. They want a prohibition on sales unless President Trump certifies that Turkey is not threatening NATO, buying defense equipment from Russia, or detaining US citizens. NATO defense ministers met last week in a show of resolve against Russia and played down a series of trans-Atlantic disputes that threaten to undermine unity across the 29-nation alliance, reports Military Times. The Senate Armed Services Committee is joining its House counterpart in calling for a big boost in research on hypersonic weapons research and defenses against rapidly developing Russian and Chinese capabilities, reports Breaking Defense. The House Appropriations Committee’s defense funding bill for FY2019 would buy a dozen new warships for the Navy, including two littoral combat ships beyond the service’s request, reports USNI News. The US Army wants to have unmanned vehicles on the battlefield by 2028, reports Defense Systems. “I think robotics has the potential of fundamentally changing the character of warfare. And I think whoever gets there first will have a unique advantage on the modern battlefield,” Army Secretary Mark Esper says. Microsoft is experimenting with a data center in a capsule under the ocean, reports C4IRSNET. The idea is to keep the data center underwater off the coast of Orkney, Scotland, where the ocean will naturally cool the hot computers inside, will prolong the life of the servers enough to offset the fact that the closed capsules cannot be repaired by humans. Leebcor Services LLC, Williamsburg, Virginia, was awarded a $15,241,121 firm-fixed-price contract to design and construct a special tactics squadron operational facilities complex that includes a special tactics team building with a covered scuba rinse and drying area and a human performance training center. Bids were solicited via the Internet with six received. Work will be performed in Fort Bragg, North Carolina, with an estimated completion date of Nov. 29, 2019. Fiscal 2015, 2016, and 2017 military construction funds in the amount of $15,241,121 were obligated at the time of the award. US Army Corps of Engineers, Wilmington, North Carolina, is the contracting activity (W912PM-18-C-0013). Northrop Grumman Systems Corp., San Diego, California, is awarded a $61,752,681 cost-plus-fixed-fee contract to provide operator, maintenance, logistic support and sustainment engineering services in support of the Broad Area Maritime Surveillance – Demonstrator program to ensure the aircraft are mission-capable for intelligence, surveillance and reconnaissance missions. Work will be performed in Patuxent River, Maryland (70 percent); various forward operating locations outside the continental US (25 percent); and Rancho Bernardo, California (5 percent), and is expected to be completed in June 2019. Fiscal 2018 operations and maintenance (Navy) funds in the amount of $61,752,681 are being obligated at time of award, all of which will expire at the end of the current fiscal year. This contract was not competitively procured pursuant to Federal Acquisition Regulation 6.302-1. 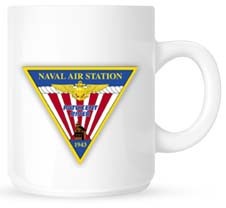 The Naval Air Systems Command, Patuxent River, Maryland, is the contracting activity (N00019-18-C-1009). Lockheed Martin Corp., Lockheed Martin Aeronautics Co., Fort Worth, Texas, is being awarded a $735,735,572 modification to a previously awarded advance acquisition contract (N00019-17-C-0001). This modification provides additional advance procurement funding in the amount of $74,746,572 for the procurement of long-lead time materials, parts, components, and effort in support of the F-35 Lightning II Low Rate Initial Production Lot 13 aircraft for the US Air Force, US Navy, and US Marine Corps. The modification also provides $660,989,000 in economic order quantity funding for procurement of material and equipment that has completed formal hardware qualification testing for the F-35 program for use in procurement contracts to be awarded for the F-35 program low rate initial production Lots 13 and 14 for the US Air Force, US.Navy, and US Marine Corps. Work will be performed in Fort Worth, Texas (30 percent); El Segundo, California (25 percent); Warton, United Kingdom (20 percent); Orlando, Florida (10 percent); Nashua, New Hampshire (5 percent); Nagoya, Japan (5 percent); and Baltimore, Maryland (5 percent), and is expected to be completed in December 2019. Fiscal 2018 aircraft procurement (Air Force, Navy, and Marine Corps) funds in the amount of $735,735,572 are being obligated at time of award, none of which will expire at the end of the current fiscal year. This modification combines purchases for the US Air Force ($359,378,333; 49 percent); US Navy ($193,379,239; 26 percent); and the US Marine Corps ($182,978,000; 25 percent). The Naval Air Systems Command, Patuxent River, Maryland, is the contracting activity. Bath Iron Works, Bath, Maine, is being awarded a $49,817,723 cost-plus-award-fee contract for DDG 51 Class lead yard services (LYS). The LYS provides necessary engineering, technical, material procurement and production support; configuration; class flight and baseline upgrades and new technology support; data and logistics management; lessons learned analysis; acceptance trials; post-delivery test and trials; post-shakedown availability support; reliability and maintainability; system safety program support; material and fleet turnover support; shipyard engineering team; turnkey; crew indoctrination, design tool/design standardization, detail design development, and other technical and engineering analyses for the purpose of supporting DDG 51 Class ship construction and test and trials. In addition, DDG 51 Class LYS may provide design, engineering, procurement and manufacturing/production services to support design feasibility studies and analyses that modify DDG 51 Class destroyers for Foreign Military Sales (FMS) programs sponsored by the Department of the Navy and the Department of Defense. This contract includes options which, if exercised, would bring the cumulative value of this contract to $304,843,466. Work will be performed in Bath, Maine (94.7 percent); Norfolk, Virginia (3.3 percent); and other locations below 1 percent (collectively totaling two percent), and is expected to be completed by June 2019. Fiscal 2014, 2016 and 2017 shipbuilding and conversion (Navy) funding in the amount of $47,091,869 will be obligated at time of award and will not expire at the end of the current fiscal year. In accordance with 10 US Code 2304(c)(1), this contract was not competitive procured: Only one responsible source and no other supplies or services will satisfy agency requirements. The Naval Sea Systems Command, Washington, District of Columbia, is the contracting activity (N00024-18-C-2313).